Here I am, late again, with this week's InstaFriday. Oh well, as Doris Day sang, "Que Sara, Sara." Last Sunday evening after church we went to another local church (gasp!) to walk through Bethlehem and then ended up at IHOP. As you do. I was going to do a separate post about walking though Bethlehem, but quickly realized that might never happen, so I'll just tuck it in here. Y'all don't mind, do you? Good. 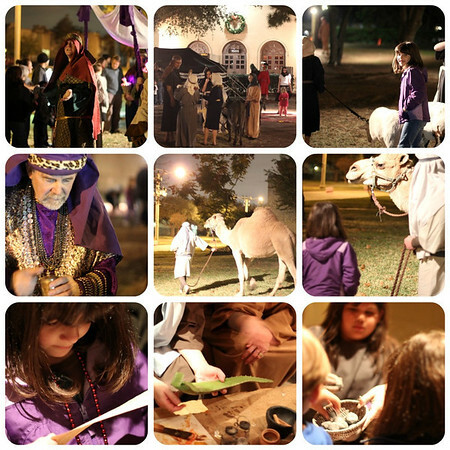 It's a great living history type of experience where you get a hands-on glimpse into bible times at the time of Jesus' birth. As you wait outside there are townspeople, dancers, shepherds, soldiers, and even a wise man or two, or three, to see and talk with. Once inside you weave your way through the marketplace where you see tradespeople model their craft, from bakers, scribes, weavers, to potters, rope makers, carpenters, an apothecary and the like. Annelise really enjoyed sampling not only the food but molding a small clay bowl, twisting rope and drilling and hacking at wood. After making your way through the market you end up at a modest stable where you meet Joseph, Mary and the baby Jesus, which was of course the perfect ending to our visit. 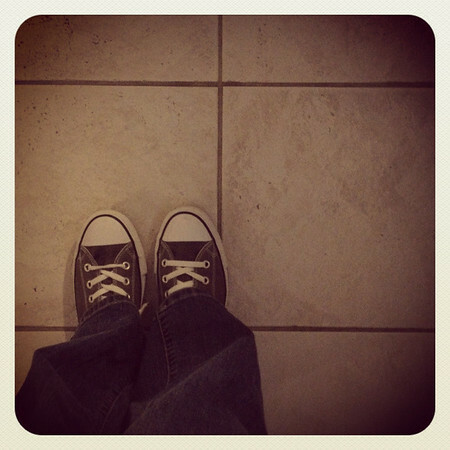 Just me and my Chucks. Making treats for Annelise's class party. Unfortunately I left the first batch in the oven too long and actually baked the kisses instead of gently melting them. Opps! It kind of hurt my heart to toss an entire tray of ruined pretzel kisses into the trash. 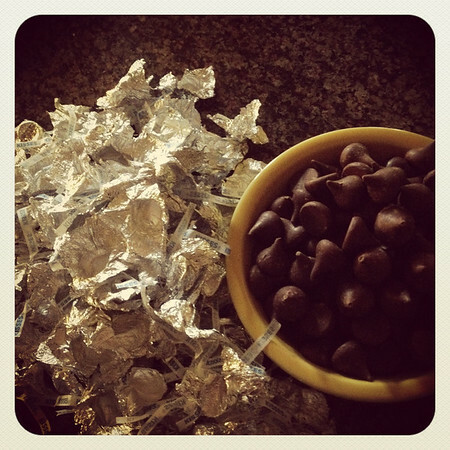 Especially since I had spent the previous sweet forever unwrapping said kisses. Thanks to Pinterest I was able to cute up Annelise's gifts for her two teachers. 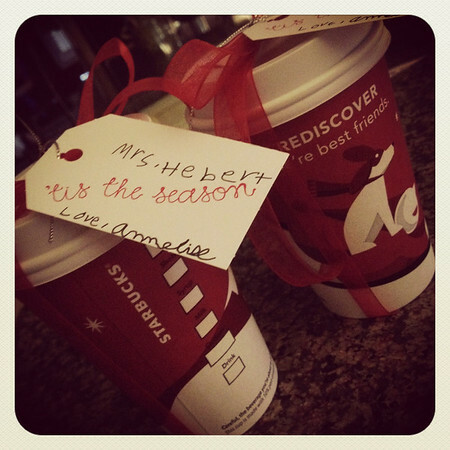 Inside each cup was a Starbucks gift card tucked into a Vera Bradley ID/card holder thingie. I thought the to-go cup packaging was a neat idea, simple and cute (and free). Even if I never make 1/8 of the crafty or food-y things I've pinned on Pinterest it feels good to know the ideas are there whenever the mood strikes. If ever. 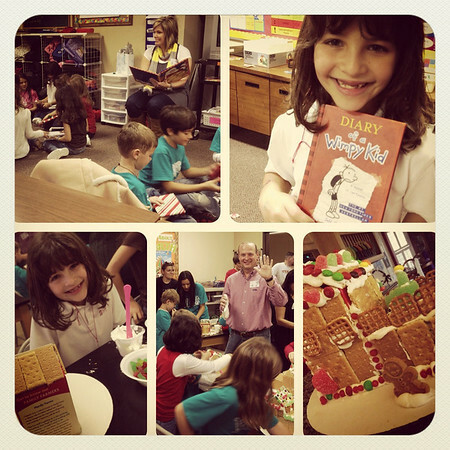 I am happy to report that Annelise's class party yesterday went well. Surprisingly well. Which is refreshing. First they had their book exchange, sitting in a boys circle and a girls circle, listening to me read Twas the Night Before Christmas and passing books on the word *and*. Annelise was beyond thrilled with the book she received and completely forgot her sense of injustice that she gave two books and only received one, so that's good. After fortifying themselves on an array of snackage we herded them down to the science lab for the Gingerbread House Building Extravaganza 2011. It was a little bit crazy and a whole lot of messy, but no one cried (though one little boy was this close to losing it when he couldn't figure out how to make his graham crackers fit one certain area) and 23 boys and girls managed to create holiday dream home masterpieces dripping with all sorts and forms of colorful sugar. Oh my goodness that Starbucks idea is THE CUTEST! Yesterday Luci gave her gymnastics coach a Starbucks gift card and I wish I had seen this first. LOVE! It was actually her coach's b"day and we didn't want it to be overlooked amidst Christmas. After Griffin's guitar recital last week we told him he could go anywhere he wanted to eat. Anywhere! 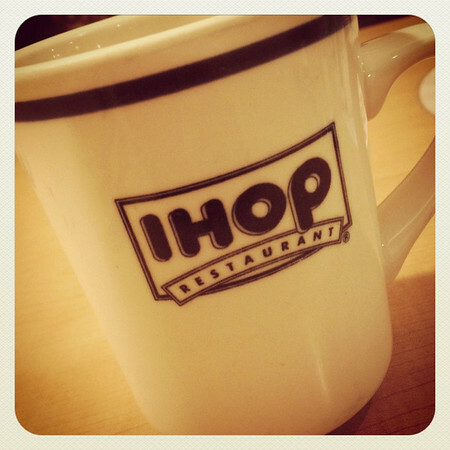 He picked IHOP. I don't get it.